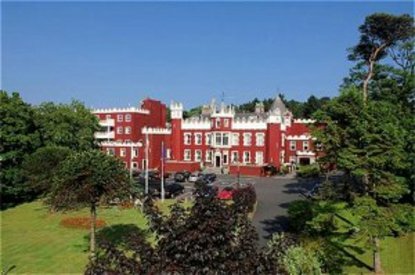 Located in the fashionable suburbs of Killiney and Dalkey, Fitzpatrick Castle is the epitome of elegance and charm,overlooking Dublin Bay and yet only 20 minutes from Dublin City Centre. Relax in comfort in one of our 113 en suite rooms which are all recently refurbished and are equipped with DD telephone, multi-channel television, tea and coffee making facilities and views over Killiney and Dublin Bay. Why not dine in PJ*s Restaurant. In PJ*s dine in luxurious surroundings, superb food complemented by fine wines and the excellent Fitzpatrick personalized service ensure your lunch/dinner or special occasion is a success.